¡Adios San Pedro Hola Antigua! 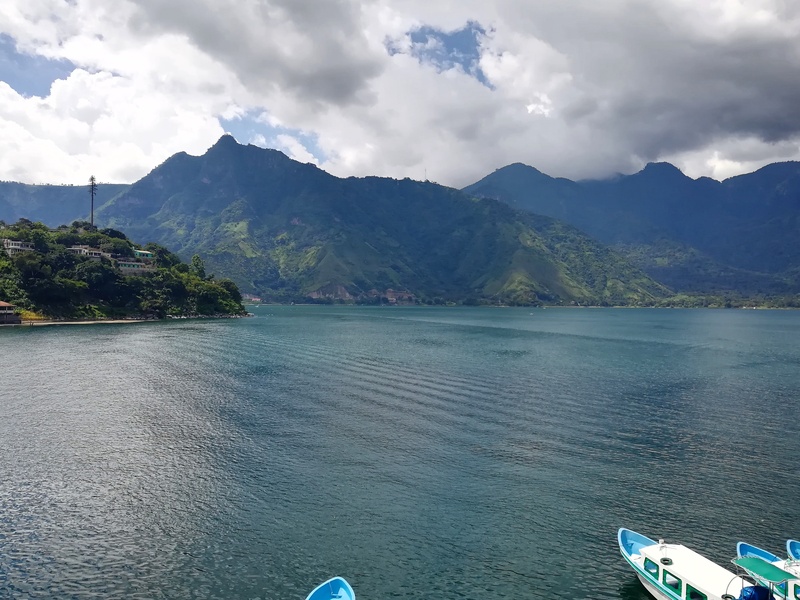 I didn’t think a town could top the picturesque beauty of San Pedro on Lake Atitlán, and then I reached Antigua. Antigua is equally as beautiful as San Pedro but in a very different way. Picture this: the same backdrop of monstrous volcanoes, colorful one story houses of various shapes and sizes, towering antique churches on every corner, quaint cobbled streets…need I go on? It was quite a bumpy ride from San Pedro but luckily I conked out with the help of a motion sickness pill then BAM! I was woken up in Antigua. I love a bus journey through unknown lands, you meet the most interesting people from all walks of life don’t you? There was Eduardo from Guatemala City who is opening up a hostel in San Pedro; a friendly American girl who is on an action packed adventure through Central America for two months; a Hungarian come Swede who helped build a school out of recycled materials; a Russian come German who seems to have travelled almost everywhere; a sleepy Italian woman and me, a Londoner come Bangkokian forever Irish cailín trying to find the balance between figuring out what she wants from life versus having an absolutely immense time being present IN life. Talking about ‘interesting people’, I met the most amazing souls in San Pedro. For me, San Pedro started off a little monotonous. 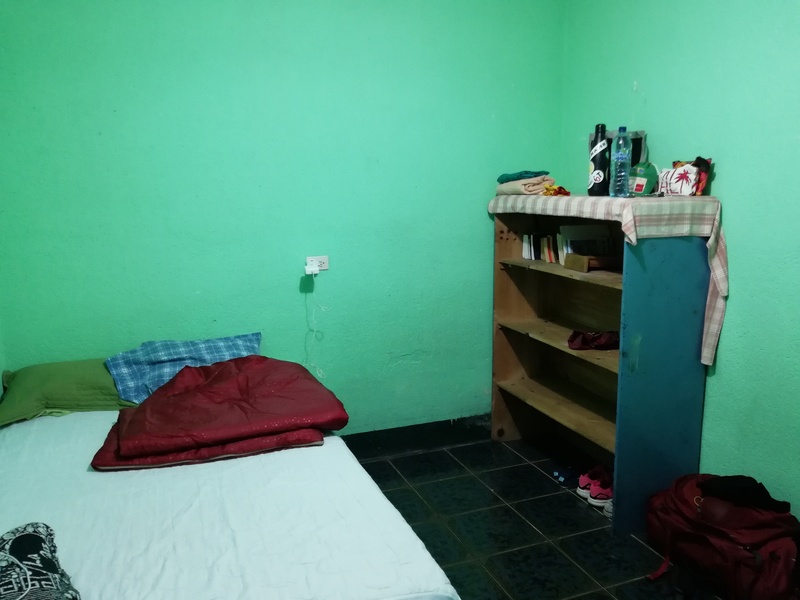 Life was Spanish class in the morning, homework in a café, a marathon siesta, meals with my homestay family, some Netflix and sleep, and I’m to blame for the monotony. Luckily I snapped out of it and managed to find a good group of friends to hang out with and explore a little more of what the area had to offer: lake jumping in San Marcos, Friday night pub quizzes at Hostel Fe, late night (11pm!) dancing and beers in Sublime and –mostly- we spent time in a quiet little restaurant called Pinocchio’s where a litre of beer was only 10 Q- that’s about 1 UK pound- and where the service always came with a smile in the form of a teenager called Arnesto who patiently helped us with our Spanish. It was great to meet likeminded souls of various ages, nationalities and backgrounds…all on a different and unique journey. I love to cross paths with people when I travel- either for a short time or more. I learn something from each person I meet, and something more about myself too. Talking about learning I completed three weeks of Spanish and got myself a certificate! Afterwards, my cyber security come photographer hermano (brother) and I went exploring in the local market and he encouraged me to use my Spanish, somehow I forgot everything! I thought that maybe I should return my certificate! Thankfully I redeemed myself today by successfully asking for directions (about 15 times!) and having a conversation with a waiter- the three weeks of study has definitely been worth it and I can’t wait to speak more Spanish- me gusta hablar español. And me? I still believe in paradise. But now at least I know it’s not some place you can look for. Because it’s not where you go. It’s how you feel for a moment in your life when you’re a part of something. And if you find that moment… It lasts forever. ¡Hola¡ ¡Bienvenido a mi aventura en Centro América! I am drowning in Spanish right now. Quite literally. 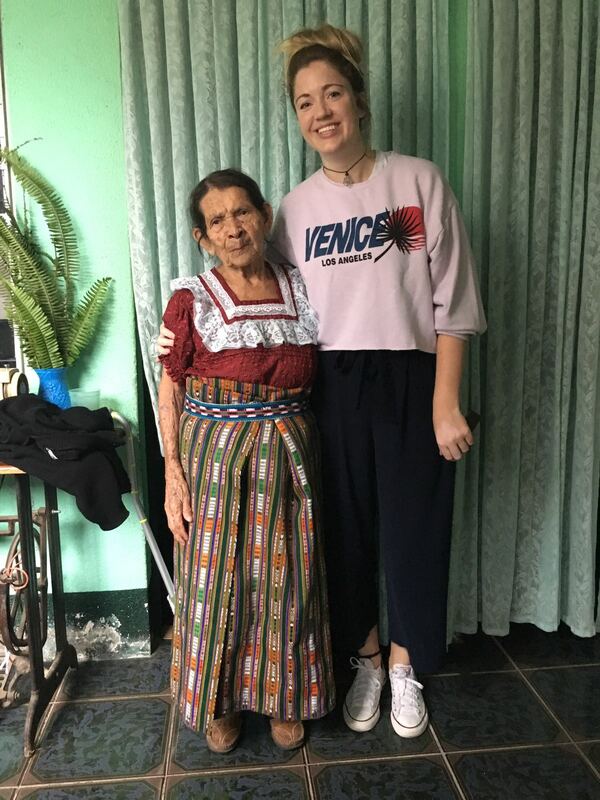 I have thrown myself into it between a homestay with a Mayan family and Spanish school without any prior knowledge of Spanish…and it is definitely the best way to learn. For the past two weeks I have been in San Pedro La Laguna, a sleepy and picturesque town on Lake Atitlan in Guatemala. 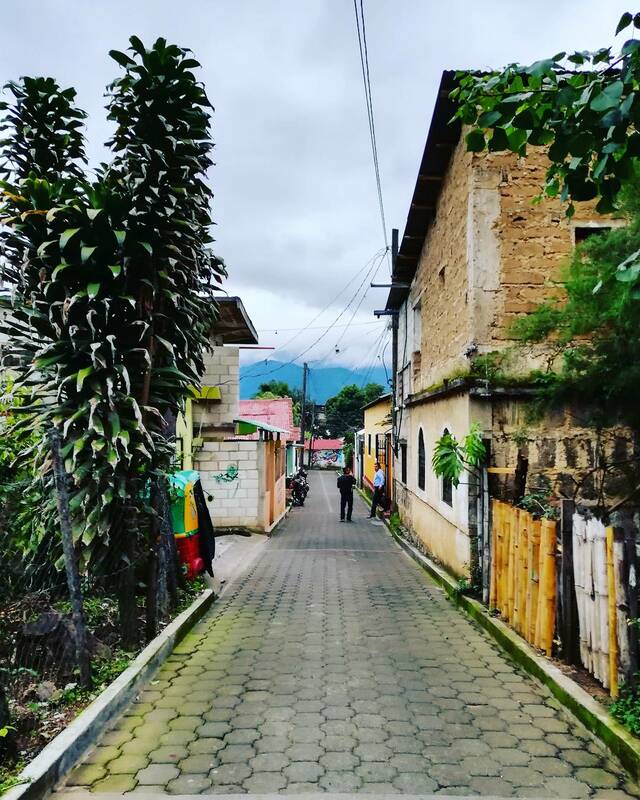 The town is engulfed by Volcán San Pedro which sits right behind it. The daily views of the enormous lake and numerous towering volcanoes is truly breathtaking. 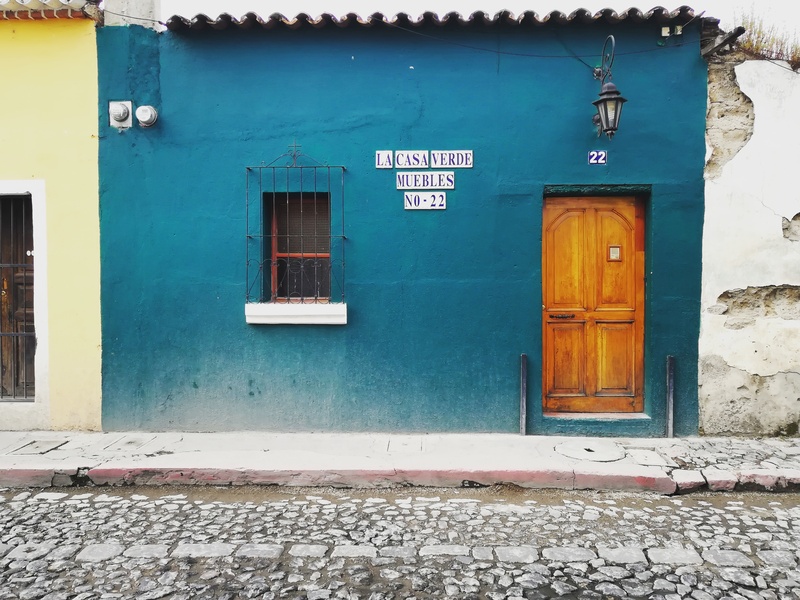 The majority of people here are Mayan and they still hold many traditional values and keep to their culture, with the Spanish influence of Catholicism or Evangelism present. The narrow streets are regularly filled with bright colours, music and singing. And so the teacher has become the student; it has certainly given me a new perspective and filled me with empathy for any student that I have ever taught. I am not the most perfect student: I haven’t turned in my homework three times, I get frustrated if I can’t understand the ‘why’ behind irregular verbs (“it just doesn’t sound right in Spanish” irks me as to a non Spanish speaker it sounds perfectly fine!) and I ask A LOT of questions. Luckily I have a very patient teacher who bears with me, challenges me when necessary and doesn’t scold me for late homework submission. But anyone who knows me knows that I love a challenge, I love old people, I can sleep through most things and I’m never too fussed about where I sleep so I have settled in perfectly well. I now can have a laugh with my foster family- I even picked up a couple of Mayan phrases so I can chat with grandma- and I have a healthy balance between family time and me time. ¡Esta agradable! Es todo por ahora. ¡Hasta luego!